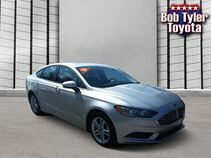 REMAINDER OF FACTORY WARRANTY, FACTORY MAINTENANCE UP TO DATE, SERVICE RECORDS AVAILABLE, BLUE TOOTH HANDSFREE, ONE OWNER, CLEAN CARFAX, KEYLESS ENTRY, Rio S, 4D Sedan, 1.6L I4 DGI 16V, 6-Speed Automatic, FWD, black Cloth, 15" x 5.5J Steel Wheels, 6 Speakers, ABS brakes, Air Conditioning, AM/FM radio: SiriusXM, Bluetooth® Wireless Technology, Brake assist, Bumpers: body-color, Driver door bin, Driver vanity mirror, Dual front impact airbags, Dual front side impact airbags, Electronic Stability Control, Exterior Parking Camera Rear, Front anti-roll bar, Front Bucket Seats, Front Center Armrest, Front wheel independent suspension, Fully automatic headlights, Heated door mirrors, Low tire pressure warning, Occupant sensing airbag, Outside temperature display, Overhead airbag, Panic alarm, Passenger door bin, Passenger vanity mirror, Power door mirrors, Power steering, Power windows, Radio: AM/FM/MP3 Audio System, Rear window defroster, Remote keyless entry, Speed control, Speed-sensing steering, Split folding rear seat, Steering wheel mounted audio controls, Tachometer, Telescoping steering wheel, Tilt steering wheel, Traction control, Trip computer, Variably intermittent wipers, Woven Cloth Seat Trim. My husband and I have bought a 2017 Tundra, a 2016 Sienna, and a 2017 4runner. They have been so much help to us and I swear they make miracles happen here! They helped us trade in out Sienna so we could get lower payments and they went above and beyond! I will recommend them to everyone and continue to go to them for my car needs. PS: I love my new 4runner! It's the best car I've owned so far! 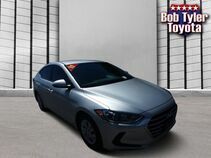 We have been researching vehicles and knew we wanted either a nissan altima or a honda accord (both had about the same ratings on Kelly blue book and true consumer report).We came to Bob Tyler with intent to test drive a used Nissan Altima that was advertised. Our sales rep. ROBIN OVERBAY greeted us immediately eager to assist us with the buying process. 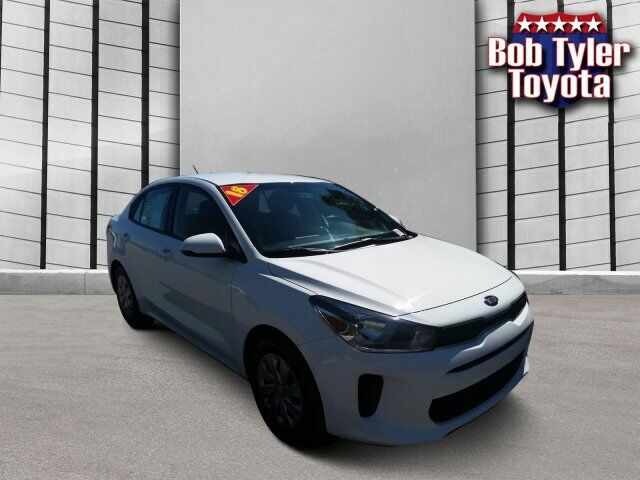 Robin was so patient with us she answered our questions with confidence we are really impressed with her customer service skills.WE appreciate everything and we would recommend Bob tyler and robin to anyone. Bob Tyler Toyota was the first dealership I came to going south on hwy 29 just before entering car city. I asked my daughter to pull in there and I would begin my search for a new vehicle. We were greeted very pleasantly by Sheila Moore. She inquired about the reason for my visit and I replied beginning my search for an .SUV. she invited my 87 yr old Mom and daughter to wait in the comfort of the lobby while she assisted me. Sheila listened without interruption as I gave her everything from my needs to the color choice I woulld like. She said I can help you with that let's begin over here. At the end of our walk around the car lot she had diligently and kindly allowed me the time to decide that a Venza met my needs. We talked about my price range and after much hard work by her and 2 managers I drove my 2012 Venza home tonight. My sincerest thanks to Sheila, an. Employee that Bob Tyler Toyota can be very proud of, needless to say should I be in need of a vehicle in the future Bob Tyler Toyota will be my first stop and Sheila Moore will be the person I ask for. Extremely satisfied with the wonderful customer service and knowledge given by Brad Rankin. He took the time to show me anything I could possibly want, gave me time/space to think about my purchase without any pressure as well as showing me every available option on the car I purchased, which was very comforting. Can't thank him enough as well as Bob Tyler Toyota and I will be sending everyone I know to Brad for their purchase. My wife went in to get our existing Toyota serviced and while she was there she met salesman, Brad Rankin. We had been considering purchasing a new Highlander to replace our old one, but just had not followed through. Brad made the experience so enjoyable that my wife went ahead and traded in our old Highlander for a new one. It was such a good experience that two days later I went back looking for a used Tacoma and ended up buying a new Tacoma from Brad also. Highly recommend Bob Tyler Toyota and Brad made things very easy. 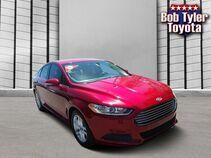 My family has purchased over a "Dozen" cars and trucks from Bob Tyler over the last 15+ years. I recently purchased "two" 2013 Rav 4 vehicles from Mike Morgan! Mike is a friendly and knowledgeable salesperson. Mike's caring and professional attitude helps "keep" Bob Tyler #1! Great job! We went thru the USAA buyer program. Got a great quote from Bob Tyler, lower than the USAA price. We have bought cars from this dealer for 20 years. Had a great sales rep, Luis Vilar who was such a gentleman to deal with. Kim was the manager we also dealt with. Both were so lovely.If you want to buy a Toyota, see Luis Vilar, he is great and no pressure. You could be talking with your best friend. This was the most effortless car purchase ever! Brandon listened and respected our wishes and wants in a new vechicle. Do to his efforts we found the perfect car for our family. We couldn’t be happier with our new car thanks to him! I purchased a tundra Saturday, as is no warrantee. Monday I removed an item I stalled on the floor board and noticed some rust under it. The more I dug the more i found. It was all under the carpet. The dealership would not have seen this because it was hidden under carpet. From underneath the vehicle it appeared rust was not an issue. Carpet held moisture and it rusted from the inside out. I sent pictures to the general manager and they went into action to ensure my satisfaction. I can't tell you how refreshing this was. I looked into laws at the federal and state level to see if I had a leg to stand on. I did not! 11 years old 142k miles. The vehicle was outside of any such laws I went in to talk to the dealership knowing they would make me happy, and that they did. They undid the deal no fee to me. Then asked me if I would like to see any other vehicles. Pleasure to do business with them. this Is my 3rd vehicle purchased here in 12 years and I will be back for all my vehicles in the future. Loved Sultan....he was fabulous. Very thorough and efficient. He made sure I was taken care of. Josh Baxter was incredibly awesome, as well! I recommend them for a great experience! It was a very long process to purchase the car. At first I believed it wouldn't happen. Tony done a great job helping my parents and I. Very friendly service from the salesman Brandon Gonzalez. We are well pleased with our 2018 Corolla that we purchased today. He did an outstanding job. Jeff DiGuilio made my car buying experience as pain free as possible! He was very professional. If he didn’t know the answer to a particular question, he would go find it. Would definitely recommend him if you’re looking to purchase a Toyota! Shelia Moore is awesome! Ask for her personally. Seriously the best experience we've ever had at a car dealership. Would recommend Bob Tyler Toyota and especially Sheila Moore!! Our goal is to ensure accurate presentation of information; however, all inventory listed is subject to prior sale, so a vehicle shown may be displayed as an example model or be currently in transit or production. Because of the abundant possible combinations of vehicle models, colors, trim levels, etc.-the pictures on this website may not match the vehicle exactly. All information pertaining to these vehicles should be independently verified through the dealer. Tax, title, license, registration, and $899.50 Dealer Doc fee are not included in our online pricing.